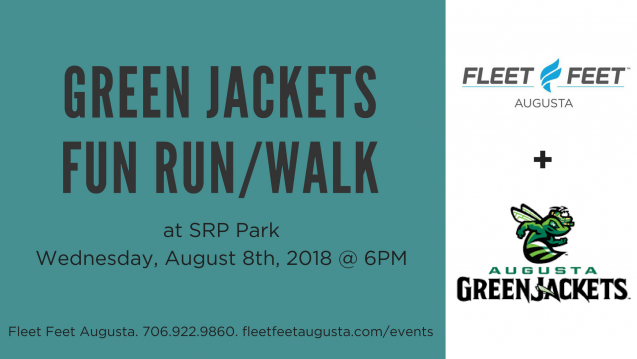 Join Fleet Feet Augusta for a 2-5 mile fun run/walk along the North Augusta Greeneway. Our New Balance rep will be on site with New Balance shoes for participants to test out on their run. First 50 participants to check in will receive a free general admission ticket to that night's Augusta GreenJackets game.